To drive revenue, you have to first engage your audience. To engage your audience, you need to communicate in a relevant way with them. Well, in a time when people engage with brands across a wide variety of touchpoints, relevance has been redefined. 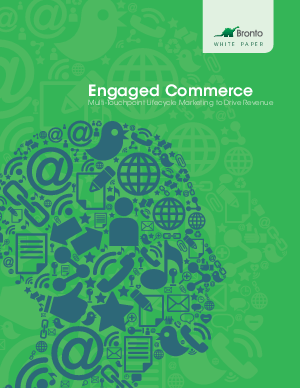 Marketers who evolve their strategies to an Engaged Commerce approach have much to gain.